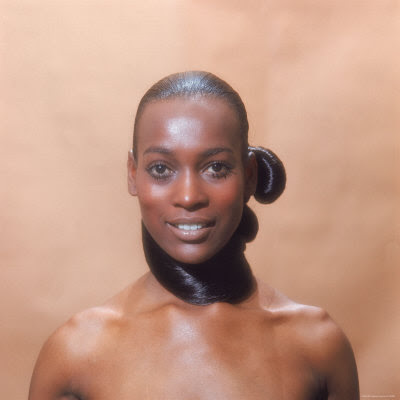 Naomi Sims, who some have deemed to be the first black supermodel died this past Saturday of breast cancer in Newark, N.J. She was 61. It had been decades since she left the runway to become an author and launch her own beauty empire, Naomi Sims Beauty Products. According to Target Market News, Sims attained success at the same time that the "Black is Beautiful" movement was taking hold, and her accomplishments as a barrier-breaking African-American model helped pave the way for the black runway stars of the 1970s, including Pat Cleveland, Alva Chinn and Beverly Johnson. The approach landed her the cover of The New York Times' August 1967 fashion supplement. She used that photo to market herself directly to advertising agencies, and within a year she was earning $1,000 a week and appearing in a national television campaign for AT&T. Before long, she was modeling for top designers. Funeral Services will be held Thursday August 6th, 2009 @ 11am St. Ignatius Loyola Parish 980 Park Avenue @ 84th St New York, NY 10028. SIGH....it has been a rough summer on folks.